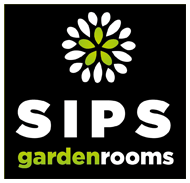 SIPS gardenrooms is a customer focused property development, design and build business, born out of the increasing need to support a better work-life balance, through creating, designing and building long-lasting, sturdy, eco-friendly, light and open spaces to play and work, at home. We have designed, built and installed a broad and diverse range of modular garden studios and multi-purpose rooms for either residential or commercial use, nationwide. We are genuinely geared towards meeting the needs of the customer - that’s you - whilst also adding value to your property. We can take care of everything, from planning permission – which, for over 95% of garden room builds, is NOT required – building regulations (if required), ground works and foundations to plastering, painting and finishing touches. No two gardenrooms are the same; any number of designs and finishes can be achieved and, when combined with an average installation of 7-10 days – with the majority of the structure being manufactured off site(modular), reducing waste, defects and build time – there is no better option to improve both the value of your home and your quality of life. Once we’ve made initial contact, discussed your basic requirements and produced a quotation, we can follow up with a free site visit and survey. There is no obligation and we do not hard sell. The visit will enable both parties to better understand the requirements, view the terrain and site and discuss any potential design opportunities or considerations before any further decisions or design work is undertaken and a final quotation produced. You can read about our usual approach on our Our Process page. To book a Site Survey, contact us. We will get in touch to discuss your requirements and set-up a convenient time to visit.